Oh how I love the freshness of peppermint. It’s like a zippy, icy breeze running across my tongue in the middle of a North Dakota blizzard when it’s -30 outside! All kidding aside, I do adore Peppermint Essential Oil. A drop (no more than that or you’ll be overwhelmed) in some ice water is a perfect “pick me up” on a hot, humid day. 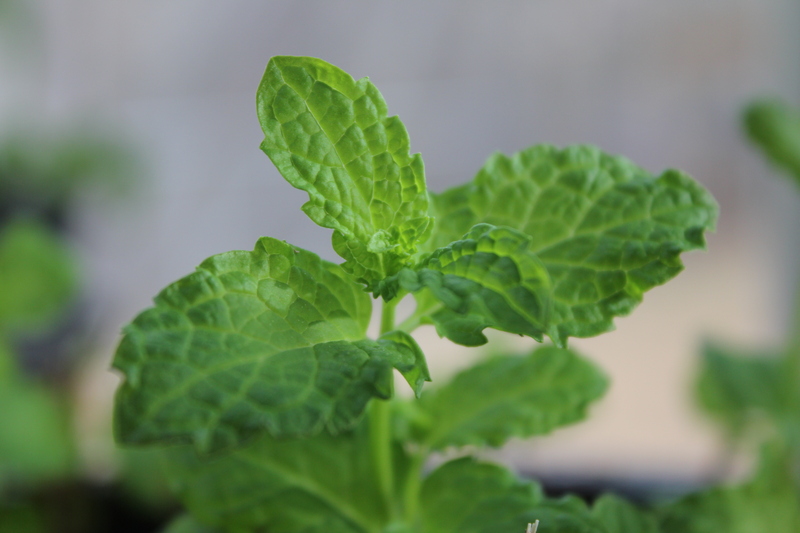 Peppermint is widely know for its presence of menthol which lends not only a cool sensation but a flavor experience which is unique in the “mint” family. It is a popular addition to anything from toothpaste, breath mints, gum and even topical moisturizers and pain ointments. *Peppermint Essential Oils have been purported to ease digestive issues such as lack of appetite, excessive gas, motion sickness, nausea and irritable bowel syndrome. As with many Essential Oils, it is a naturally strong antiseptic hence its use in dental care formulas. Due its cool nature, peppermint is a stimulant, it can help increase circulation, improve mood and even ease away stress and sore muscles. There are some risks with this minty oil however. Some do find excessive use of Peppermint can cause allergic reaction, heartburn and even headaches. If you are on prescribed medications, be sure to check for possible drug interactions with your doctor before consuming Peppermint Essential Oils. Also, keep this concentrated oil away from sensitive skin areas and the eyes. Diffuse these drops for a fresh room sure to ease a worried mind. With a mixer, combine the first 4 ingredients until smooth. Place into freezer for 10-15 until firm enough to handle. Form into small balls and dip into melted dark chocolate. Store in fridge to ensure the candies won’t melt and enjoy!